Sports Rendezvous: Ronaldo misses penalty as Spain and Portugal progress. Ronaldo misses penalty as Spain and Portugal progress. Spain and Portugal qualified for the World Cup knockout rounds despite struggling in their Group B matches against Morocco and Iran respectively. 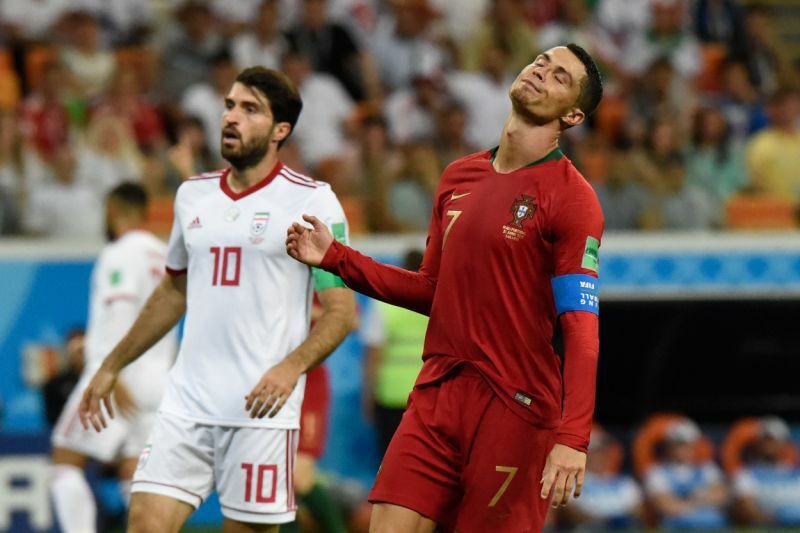 Spain limped to a 2-2 draw against Morocco, and Cristiano Ronaldo missed a penalty as Portugal saw out a 1-1 draw against a spirited Iran. Spain needed just a point to be sure of qualification and came up against a Moroccan side who were without a point coming into the last game, with no hope for themselves. Iran faced Portugal knowing that a win was likely essential, and Portugal needed a draw. An upset first threatened when Khalid Boutaib scored on 14 minutes for Morocco, but Spain levelled with an excellent goal from Isco. Boutaib profited from a mix-up as Andres Iniesta and Sergio Ramos left the ball to one another, allowing the Moroccan to stride forward to slot past David de Gea.